February 12, 2010 -- Two weeks ago tomorrow, I learned of a disturbing case. 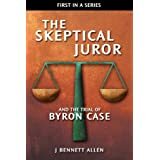 On that day, The Skeptical Niece sent me an email regarding a case she had come across. 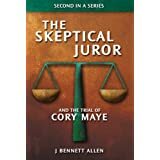 Would I consider it, she enquired, as the basis for a future addition to The Skeptical Juror series? The case was that of Hank Skinner, convicted of a triple murder in 1993 in Pampa, Texas. I learned quickly that Hank Skinner is scheduled to be executed this month, on the 24th of February. My initial reaction was to unequivocally exclude the case from consideration, now and forever. 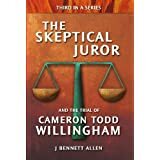 My concern was that, if I worked on the case after the execution, I might discover something I could have done to help an innocent person had I only thrust myself immediately and aggressively into the case. Such a discovery would weigh too heavily on me. Ignorance, while not necessarily bliss, seemed a preferable option. I was unable to ignore the case, though. A cursory review suggested that Hank Skinner might indeed be innocent. Adding to my unease, there seemed to be substantial DNA evidence yet to be tested, or already tested and yet to be released. Under both circumstances, the State of Texas was fighting mightily to hoard all DNA evidence so that Hank Skinner could quickly and quietly go to the needle. By the next day, I had reconsidered. I would be willing to add the case to our series, on one condition. The Skeptical Niece would need to join me in a frantic, no-holds-barred effort to assist Hank Skinner in the woefully brief time before his execution. Though the chance of success was, and still is, miniscule, we agreed to commit ourselves to the case. By Monday evening we had the outline of a plan. Clearly, there was no time for a book of any length before the scheduled execution. In fact, we decided it was futile to rely solely on the written word. Many supporters had already written lengthy and well-researched articles about the case, yet the execution was proceeding apace. Instead, we decided we had to focus on a single, overriding issue, and we needed to present that issue in an eye-catching, single-page graphic. We would put the graphic in the hands of those people having the power to avert the ultimate injustice. Those people would be tempted to peek and compelled to act. Or so we willingly deceived ourselves, in lieu of giving up. 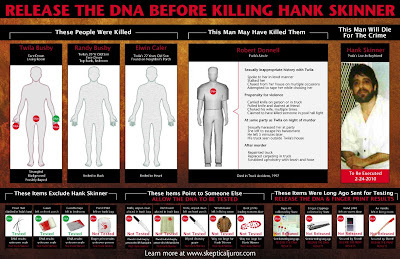 RELEASE THE DNA BEFORE KILLING HANK SKINNER. We divided ourselves into two understaffed teams of one person each. I assumed responsibility for absorbing the facts of the case, and for devising a graphic image. (We would pay for a graphic designer to convert the concept into a professional product.) The Skeptical Niece assumed responsibility for everything else, including the mailing list and all external communications. We won't speak of our next two weeks, difficult as they may have seemed for us at the time. Our travails and our time lost are unworthy of discussion when compared against the tribulations of Hank Skinner, and the prospects which await. Our resulting work product, the graphic and a provocative cover letter, are now available. Surely you must have seen them above. The nature of our product, however, prohibits a thorough presentation of all facts and arguments, for both sides. We hope to do that here, or at least lead you to sources which tell the story more completely. One such source, Brandi Grissom, a reporter for the The Texas Tribune. She has so far published three well-researched articles titled Case Open and Case Open: The Investigation and Case Open, File Closed. In Part II of this series, we begin telling, in our fashion, the chain of the events which has led us all here today.